Rupee Vs Dollar: The latest survey forecast the rupee would weaken over 2% by end of May, just after the general election, to 72/dollar. INR Vs USD: Rupee is likely to find it difficult to regain lost ground without RBI's support. 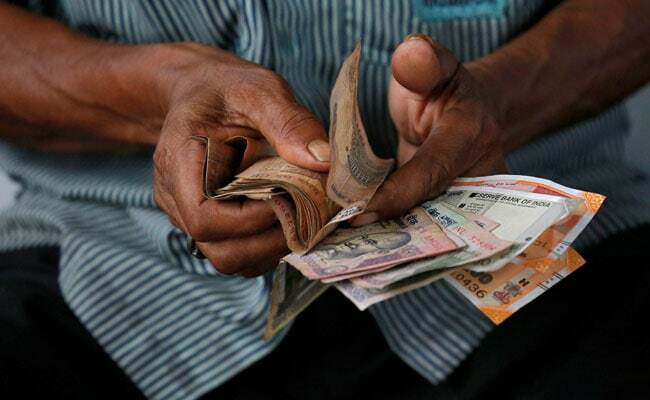 BENGALURU: The rupee will weaken over the next six months as uncertainty builds heading into national elections due in May, a Reuters poll showed. While a sharp drop in oil prices should help the slowing economy and the rupee, concerns will also persist over sluggish domestic demand which weighed more heavily on July-September growth than expected. Most major Asian currencies have had a bruising year amid a strong US dollar, though many have made some gains this week after the United States and China agreed at the weekend to a 90-day truce in their trade war. But the rupee - which is the worst performing major Asian currency this year with a fall of more than 10 per cent - was an exception, weakening more than 1 per cent on Monday. This week's surge in oil prices, alongside official figures on Friday showing weaker domestic economic growth during the July-September quarter, is offsetting hopes for an easing in the trade war. Sakpal said it will be tough for Prime Minister Narendra Modi's government to retain power for another term, noting the lingering public anger followed a chaotic demonetisation in late 2016 and the implementation of a Goods and Services Tax in mid-2017. The November 28-December 4 survey of around 40 strategists forecast the rupee would weaken over 2 per cent by the end of May 2019, just after the general election, to 72.00 against the dollar. It was trading around 70.49 on Tuesday. Those results are in line with a separate poll of equity strategists who for the first time this year downgraded their outlook for domestic equities in 2019. Any gains were predicted to come only after next year's elections. The currency touched a record low on October 11, hurt by the Reserve Bank of India's surprise decision to keep rates on hold. But a recent cooling of tensions between the government and the central bank, accompanied by a sharp drop in oil prices since early October, gave a modest boost to the rupee in recent weeks. The central bank and the government have been at loggerheads over the latter's demands, which included easing of lending and capital rules for some banks. With October inflation below the central bank's medium-term target of 4 per cent for a third month, the RBI is expected to keep the repo rate on hold at 6.5 per cent on Wednesday and until at least April, when it would hike again before pausing for at least another year.